When music and film collide (i.e. music videos and music films). The Coen brothers’ latest offering Inside Llewyn Davis is inspired by events in The Mayor of MacDougal Street, memoir of Dave Van Ronk, a lynchpin in the folk scene of 1960s Greenwich Village, NYC. On one level it is a week in the life of eponymous (anti-)hero Llewyn Davis, a struggling folk singer played by Oscar Isaac, and on another level it is a detailed, atmospheric snapshot of a collective phenomenon on the cusp of entering popular American consciousness. The film starts with a song, a beating and a stray cat, and this really sets the formula for the next two hours. Llewyn goes from hardship to hardship (many of his own creation) in his endeavours to make it as a folk musician during what is only a week, but feels like a year. He is a compelling, if not completely likeable, protagonist who tackles loss, estrangement and lack of fulfilment with a rueful obstinacy, repeatedly making and burning bridges in the process. However, it is his unflinching honesty and flagging energies in the face of his youth slowly trickling away which endear us to him. Meanwhile, friends and basket-passing contemporaries wander in and out of the narrative, in some cases assisting him and in others berating him. Like Llewyn Davis who is not exactly Dave Van Ronk, many characters are amalgamations of performers of the time rather than specific counterparts. The folk-couple Jim and Jean, portrayed convincingly by Justin Timberlake and Carey Mulligan, equally evoke Jim Glover and Jean Ray as much as Peter Yarrow and Mary Travers of Peter, Paul & Mary. Meanwhile, background characters Troy Nelson, a green performer living out of Fort Dix but already tipped over Llewyn for glory, and Al Cody, a capable but struggling musician like Llewyn, bear resemblances to Tom Paxton and Ramblin’ Jack Elliott respectively. 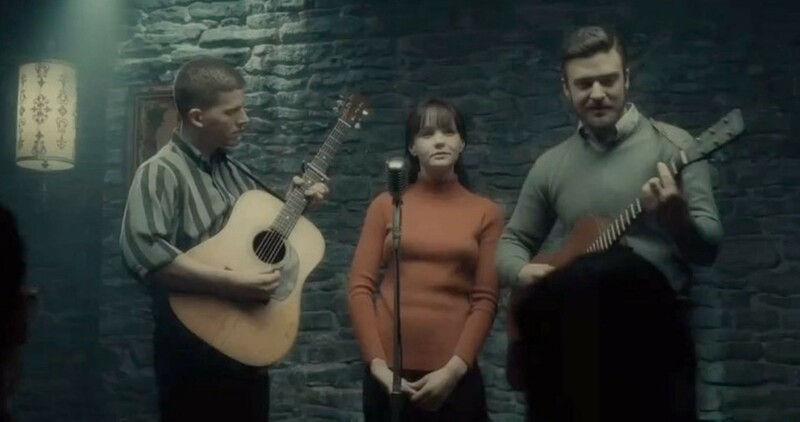 Like the Coens’ previous pairing with soundtrack producer T-Bone Burnett on O Brother, Where Art Thou?, which housed a compelling cross-section of Depression-era folk songs and spirituals, Inside Llewyn Davis serves up an insightful and well-executed crop of songs that were doing the rounds of the coffee shops at the time. Some will be familiar (a new arrangement of ‘Dink’s Song’, entitled ‘Fare Thee Well’ and Justin Timberlake and Carrie Mulligan’s wistful take on ‘500 Miles’) and some will be revelations such as Oscar Isaac’s stark rendition of ‘The Shoals of Herring’. Particularly entertaining is the Columbia recording session for absurd pop-protest song ‘Please, Mr. Kennedy’, which is written and performed by the amusingly naive Jim and captures the essence of a time when people still believed that a song could change the world. Throughout the film the songs are delivered with care and are weaved naturally into the story in a way that doesn’t feel conceited in the slightest. 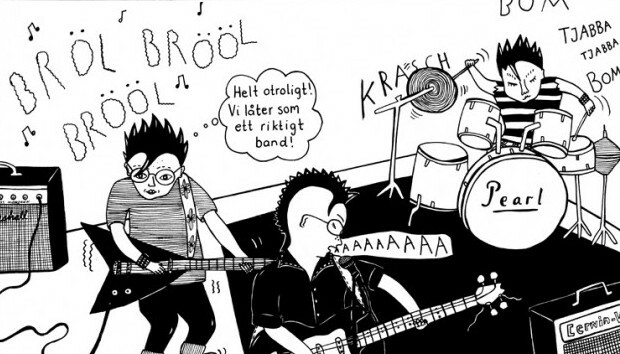 Ultimately, it is the songs that survive and which keep the characters going. As Llewyn Davis aptly states ‘If it was never new and it never gets old, then it’s a folk song’, the songs still live over centuries and it is the nature of folk music that it lives on through rediscovery and reinterpretation. Van Ronk’s own career arc can be summed up by Llewyn Davis’s audition with Chicago producer Bud Grossman (Dylan manager Albert Grossman’s surrogate), who listens patiently to Davis’s aching rendition of ‘The Death of Queen Jane’ before passing the succinct verdict: “I don’t see an awful lot of money here”. While Van Ronk garnered a considerable cult-legend status during his lifetime, with which he was content, his uncompromising brand of blues, folk and spirituals was generally considered too idiosyncratic and uncommercial for widespread release and so never gained the success of contemporaries Joan Baez or Bob Dylan. However, his influence on his cohorts cannot be understated and perhaps through the Coens’ reinterpretation as Llewyn Davis, Dave Van Ronk and his songs might live again in this generation. The film ends almost exactly the way it starts, with aforementioned song, beating and stray cat observed with a new perspective, and suggests an endless cycle of struggle as Llewyn endeavours to find success (or even just a bed for the night) in joints which range from the respected (The Gaslight Café, Gerde’s Folk City) to the nameless and miserable. It accurately portrays the harsh insularity of the Greenwich Village folk scene during the early 60s, and Llewyn increasingly finds his purist views hard to reconcile with his desire for success. However, as Llewyn exits the Gaslight at the film’s end there is a teasing glimpse of the back of a stranger’s familiarly bequiffed head as he starts his own nasally version of ‘Dink’s Song’. Llewyn’s attention is momentarily captivated by the performer before exiting and seems to acknowledge the turning point when a generation of Americans would awaken to the quiet rumble coming from Greenwich Village. Inside Llewyn Davis is in cinemas now. Well this article is going to be a bit different as I don’t often do film reviews, despite being a big film fan for most of my life. However, this documentary about Chet Baker really struck a chord with me. Rather than a detailed retrospective, Let’s Get Lost is more of an intimate portrait of the West Coast jazz prodigy who had it all and spent his final years as an itinerant speedball addict in Santa Monica, CA. Filmed during the last year of Chet Baker’s life, Let’s Get Lost grew out of a photo shoot which director Bruce Weber intended for a short film called Blame It On My Youth. Weber had been interested in Baker since coming across a vinyl LP in a record store in Pittsburgh at the age of 16, becoming infatuated with his music and his iconic James Dean good looks. Over the course of the shoot they grew closer and Baker opened up to Weber, so Weber convinced Baker to make a longer film. Let’s Get Lost became a labour of love for Weber who funded the $1,000,000 production from his own money and filmed it only when he had the time and money to do so. The filming itself was marked by difficulty and spontaneity as Baker’s turbulent life during this period meant that filming plans quickly went out the window when he finally walked in the room: “It was like going to Marine boot camp,” Weber said to the Austin Chronicle. “You’d plan something, and it wouldn’t happen the way you planned it, so you had to adapt to it, just go with it. Sometimes we’d have to stop for some reason or another and then, because Chet was a junkie and couldn’t do things twice, we’d have to start all over again. But we grew to really like him.” Baker would later be found dead on the pavement on Prins Hendrikkade, Amsterdam during the film’s post-production, giving Let’s Get Lost an added poignancy. The film is beautifully shot in black and white and Weber’s eye as a fashion photographer creates a sweeping and incredibly romantic aura around the whole film. The stars seem to twinkle in the night sky and the palm trees along the beach sway elegantly. Meanwhile Baker, who now resembles a Bukowskian barfly more than the Adonis of his youth, is still remarkably photogenic. The film meanders like a memoir, as Baker reminisces about his music, experiences and relationships while ex-associates and old flames tell their stories. There is little sense of chronology and with another subject such a film may fall apart, but Baker is such a beguiling and effortlessly enigmatic personality that he holds the film together, the linchpin in an otherwise chaotic tale. Let’s Get Lost does follow his career but at a cursory glance, briefly mentioning moments such as playing on Pacific, getting his teeth knocked out and his multiple incarcerations. This does not mean the music is neglected though, as Baker’s enrapturing and languid music is weaved throughout, blending seamlessly with shots of sleepy California and Baker’s escapades of the time. The film also features some incredibly intimate performances, the likes of which cause the hairs to bristle on the back of your neck. Despite the years, Baker’s voice is haunting and pitch-perfect, while his trumpeting is as moving and mellifluous as ever. What I feel is Let’s Get Lost’s greatest achievement is conveying Baker’s charismatic personality. He is electrifying onscreen, not in an overtly energetic way but in the sheer magnetism he exerts over everyone, the viewer included. He is charming and good looking even after the ravages of substance abuse which make him look ten years older than he actually was at the time. You find yourself falling under his spell, even as his closest friends, lovers and relatives repeatedly disclose to us that he is selfish, unreliable and a great manipulator. But even those most burned by him still adore him, just as the viewer finds themselves drawn to such a lovable rogue. And this is Let’s Get Lost’s main focus: It’s not about setting the record straight, but about staring in awe at such an infatuating personality. As you watch Baker you sense the fascination of that sixteen year-old kid in Pittsburgh and the wonder of those who knew him. “There’s a line between love and fascination,” says ex-lover Ruth Young, quoting the Baker standard ‘My Foolish Heart’. “That’s mystique. But that isn’t necessarily real and that’s what takes a long, long time to figure out: To separate one’s gift from one’s self.” Perhaps Baker never did, and that is what Let’s Get Lost excels in showing.